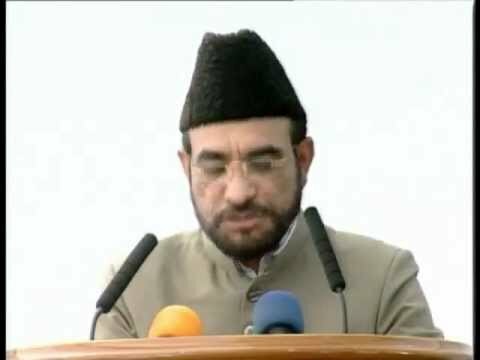 In a Special Speech on 17 May 2012, the Khalifatullah Hadhrat Munir Ahmad Azim Saheb (atba) of Mauritius spoke succinctly on a range of world and national issues, and religious and political developments. The Speech was made in the backdrop of recurring Divine Revelations received by the Khalifatullah (atba) and it included many comments that were prescient and prophetic, waiting to be unveiled in the fullness of time. Almost three years down the timeline from that Speech, it is astonishing to reflect on the extraordinary Light of Truth the short document represents in many ways. In this essay, we shall seek to illustrate in this article the truthfulness of the Divine words which Allah made the Khalifatullah (atba) to pronounce on the Special Sermon vis-a-vis the then Prime Minister of the country, Mr. Navin Ramgoolam. Recently, on 17 March 2015, the journalist James Wan of the Al Jazeera English Network reported the ongoing predicament of the former Prime Minister Navin Ramgoolam and his coterie of people who face the troubling prospect of their ignominious deeds swiftly catching up with them. The long arm of national law and justice system is certainly seeking to put them on trial for their misdeeds and egregious offences. 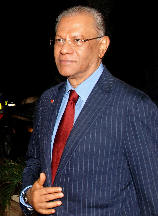 At the start of December 2014, Ramgoolam's future could barely have looked more rosy. Since a very long time, ever since the time of the fourth Caliph of the Ahmadiyya Movement, before 1993, there was a man named Munir Javed who has remained always the private secretary to the Khalifat-ul-Massih, and who takes himself as a strong supporter of Khilafat-e-Ahmadiyya. He claims to know everything when in reality it is only a false claim because he knows nothing, and he is even in the process of becoming all the more deprived of knowledge. This same man is currently conducting an anti-Divine Manifestation policy. 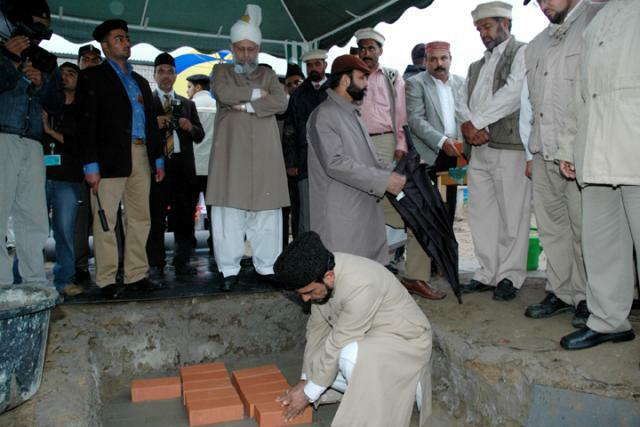 It was only on my return from UK on 05 January 2015 that we set to work on the materials – the Dawa works and the two letters which I sent to the Khalifat-ul-Massih V during my stay in England in the month of December 2014 – to be posted on the website. On 24 March 2015 I received a letter from the office of the private secretary of the Khalifat-ul-Massih V, dated 16 March 2015 in which the answer given is very dull, just like the paracetamol tablets which every time doctors give to their patients, be it in dispensaries and hospitals. Despite the different kinds of ailments of those patients, paracetamol (panadol) is prescribed as the quickest means to “cure” these people as if there are no other remedies for their ailments. It is basically like this for Munir Javed also! Munir Javed Sahib replied instead of the Khalifat-ul-Massih and he said that my letter was received and read by the Khalifat-ul-Massih V. According to the letter, the Khalifa did not object to what was intended for him in writing. Munir Javed did not mention anything of the reaction or the words of the Khalifat-ul-Massih V about the invitation letter. Munir Javed takes himself as ‘more royalist than the king’ to add that he prays that Allah Almighty illuminates my heart and all those who have deviated from the right path. Can Munir Javed declare on which path have we deviated? I can tell you that by the grace of Allah, Allah has poured down His light – His divine messages – upon me. Had Allah not lit up my heart, I would have been like Munir Javed, that is, I would have been like Allah mentions in the Holy Quran: “Summum bukmum um-yun fahum la yarjiuun” – deaf, dumb and blind, they will not return (to the right path). When he (that is to say, Munir Javed) made the deaf ear and became dumb and blind regarding the signs of Allah, and the fact that he turned his back on the Divine Manifestations, then for this type of person it is Allah Himself who took away the light from him and left him and those like him in the dark, so that they may not see anything at all. Can Munir Javed say 100% for sure that he is on the right path? Can he give the guarantee that paradise has already been reserved for him? If he has doubts about the messages that I address (to the world), then let him come forward and prove that he is right and let him seek help with anyone and prove also that we (I and all those who have recognized the Messenger of Allah, and divine signs and manifestations of this century) have gone astray? As for me, I was sent by my master Allah (swt), confirming what you already have. So if you do not have an answer to give, then just put a rock in your mouth so as not to say any nonsense. Thus, in order to avoid giving unnecessary fatwas. By the grace of Allah I continue to answer the questions on ‘pork’ that I received last week and I answered a lot of those questions, and today Insha-Allah, I will continue on the same subject to see a little on the immoral side which is sprouted by the consumption of this type of animal. First, let us get the truth straight out that man is composed of body, mind and soul. The brain, the seat of the mind (with all its functions of thought, feelings and other psychological aspects) is a part of the body and takes its food as one of those parties. At any time, thousands of cells in our body get depleted and are used to operate the complex machinery of the body; food is used to replace these dead cells. Food particles become part of the body, part of which goes to the brain. It is commonly known that food has an effect on the health of the body. But few people realize that it has an effect on the brain (hence the mind) as well. Healthy food obtained through legitimate means and consumed with a peaceful conscience, has good effects on both health of body and mind. But unhealthy food, or food taken at the time of emotional distress, harm to the body and spirit. The pig is an animal such that even in countries where its flesh is a highly regarded consumer good, its name means a dirty person, a thug, a sensual, and a glutton. The word ‘pig’ is synonymous with evil and degenerate. This is because the pig is sensual and impudent. People who eat pork are gradually influenced by its inherent sensuality; and when this trend influences minds, impudence becomes common rule; modesty and honesty become outmoded ideas that are deviated from the cult of sensuality and perversion. All in all I must say that I did not intend to do another Friday sermon on the subject of ‘Pork’, but after last Friday’s sermon on this subject, and on what that Mullah Basharat Naveed said, so I received several questions on the topic of ‘Pork’, from people in Mauritius, and those of the neighbouring islands also such as Reunion Island, Madagascar, the Seychelles and even Rodrigues. So through this Friday sermon, I will answer those questions. Insha-Allah, may Allah help me and give me the best answer to their question and that they are satisfied; and may Allah (swt) illuminates their hearts to Islam, Ameen. 1st Question: Being Christian, I have no difficulty to eat pork and I ask you then why are Muslims not allowed to enjoy this so delicious food, like the Christians do? I reply that this question is somewhat surprising, because according to the scriptures, even Christians are not allowed to eat pork. Well! Let’s see what the Bible says about pork, “You must not eat their meat or touch their carcasses; they are unclean for you.” (Leviticus 11: 7-8). The same command is repeated in Deuteronomy (14: 8). So, to make a commentary on these verses: the laws were inculcated and obeyed because they embodied the divine will. Pork, though one of the most common foods is one of the worst. God had forbidden Jews to eat pork, not merely to assert His authority, but because it was not a healthy food for humans. 2nd Question: We, Christians want to know, what was the teaching of Jesus Christ on this subject? 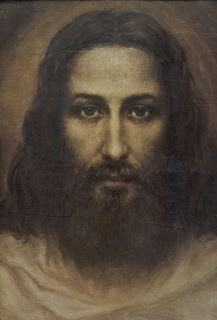 The teaching of Jesus Christ was the same. He clearly said that the laws of the Old Testament were to be obeyed without change. So the answer I give you not only concerns our Christian brothers and sisters, but is also for all our Jewish brothers and sisters. It is unfortunate that since the beginning of the Divine Manifestation in 2001 until today, we have witnessed all kinds of mullahs in the Ahmadiyya Jamaat. With the Divine Manifestation we saw the true face of these so-called mullahs. Nowadays we are seeing a so-called Mullah like Basharat Naveed who has been tolerated by a so-called Amir to say such serious foolishness which hurt those people who do Service to Humanity, (and in this particular case) a sister who has believed in this humble self and the Divine Manifestation who has expressed the wish to save the life of her sister, and she sacrificed all to go to the UK to donate Stem Cells to her sister Shirine Ben Taujoo, who is the sister-in-law and niece of the present Amir Jamaat in Mauritius. A sister who, come what may wanted to save the life of her sister. She disregarded the fact that she was previously boycotted in many of the engagement, wedding and familial functions. She did not think about all these boycotts when the question came to save the life of her sister Shirine Ben Taujoo. And it is fact that due to her belief in someone who has proclaimed himself as the Khalifatullah of this era, in a Divine Manifestation, therefore this donation of Stem Cells was done by her only for the cause of Allah, and with lots of duahs also. What kind of Mullah Basharat Naveed is to give such reply? He is automatically classified as such Mullahs who were prophesised by Hazrat Muhammad (pbuh) who will appear in the last days, and who will be like pigs and monkeys. 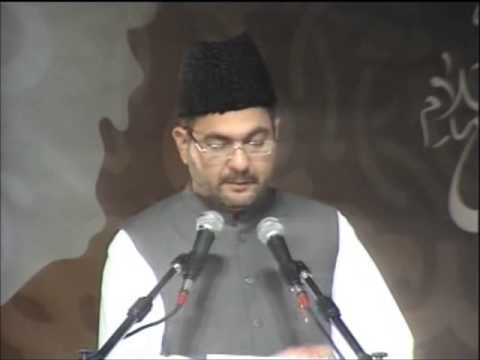 The Holy Prophet (pbuh) said: “A time will come when people of my Ummah will begin to differ and there will be very great and fundamental differences of opinions and the common people would go to the Ulema to seek guidance from them and lo!, they would find instead of Ulema, monkeys and pigs”. They fix great “Love for All, Hatred for None” signboards for the eyes of people, but they manifest hatred against the members of the Jamaat Ul Sahih Al Islam, National and International. Shame! What they say is not put into practice. Analyze that Hadith well and read the Holy Quran and see what Hazrat Dawud (as) and Hazrat Isa (as) have said for these kinds of people. The former was a Khalifatullah and the other was the Israelite Messiah. Thus, we see that this Hadith does not apply only to those who have abused the Promised Messiah (as) but this also applies for the Ahmadi Mullahs of our era. No Muslim can be denied the right to enter a mosque and offer prayers, and even to attend a function therein. This is a basic human right which Allah gave to His servants, and nobody has the right to hinder other people from invoking Allah, and to show Him their devotion in those places of worship. Moreover, it is to be specified that the verse refers to the fact that nobody can be hindered from entering the Mosques of Allah for any act of worship. A mosque is Allah’s and thus it is not the property of any person, though its management is done by people who are supposed to be Muttaqun – God-fearing! 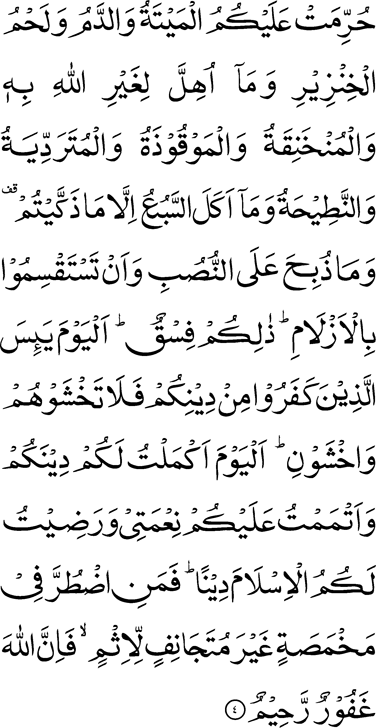 When people cease to be Muttaqun, and defy the laws of Allah, they bring upon themselves a sure damnation, and Allah has promised that in the Hereafter, their punishment will be great. The subject matter of this verse is very true in the case of the persecutions faced by the believers of the Divine Manifestation in this era. All prophets in one way or the other passed through the same situations, suffering from being forbidden access to the Houses of Allah. The Holy Prophet Muhammad (pbuh) suffered a lot in the hands of the Quraish who persecuted and boycotted him and his followers so much so that access to the Ka’aba was quasi-impossible, especially for the grand pilgrimage, the Hajj. And if ever they were spotted near the Sacred Mosque, then the people of Mecca, in occurrence the Quraish would inflict much hardships on the innocent servants of Allah and believers in the Divine Manifestation of their age. Even the Holy Prophet of Islam was not spared! 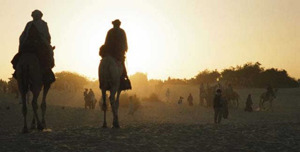 In March 628 AD, the Meccan troops stopped Muhammad (pbuh), the best of mankind and prophets and forbid him from entering the Sacred Mosque along with his companions for the lesser pilgrimage, i.e. Umrah. They tried to humiliate him, but the Holy Prophet Muhammad (pbuh) trusted Allah and the promise He extended for the grand victory of Islam. And today by the grace of Allah, this victory is palpable in every way in the form of the Jamaat Ul Sahih Al Islam which Allah has secured for the preservation of the glory of Islam in its entirety.